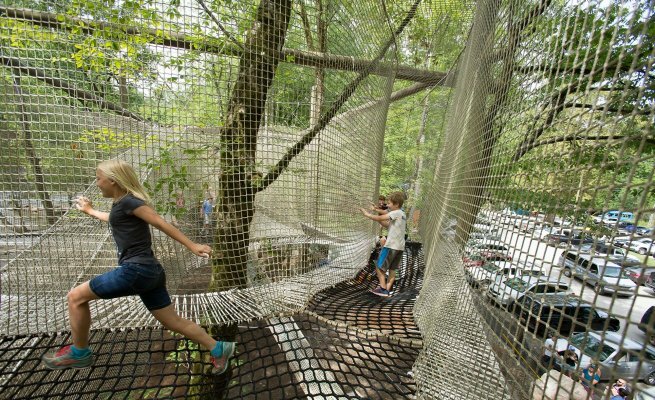 Recommended for ages 3 and up, Nantahala Outdoor Center's Treetop Adventure Nets is the perfect canopy experience for the whole family. 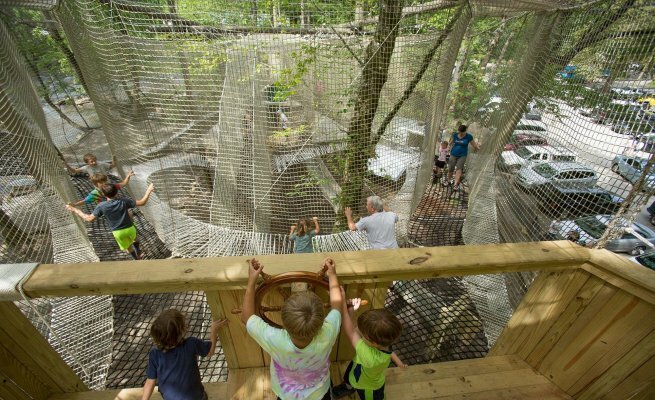 Conveniently located in the center of campus on the banks overlooking the Nantahala River, Treetop Adventure Nets is the nation's first 100% net-based aerial playground. 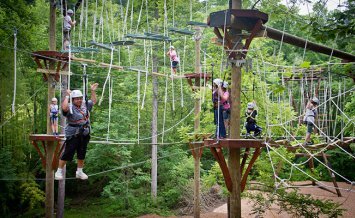 Bring the entire family to experience walking, climbing, sliding, and playing freely while being suspended at heights ranging from 12 to 20 feet off the ground. 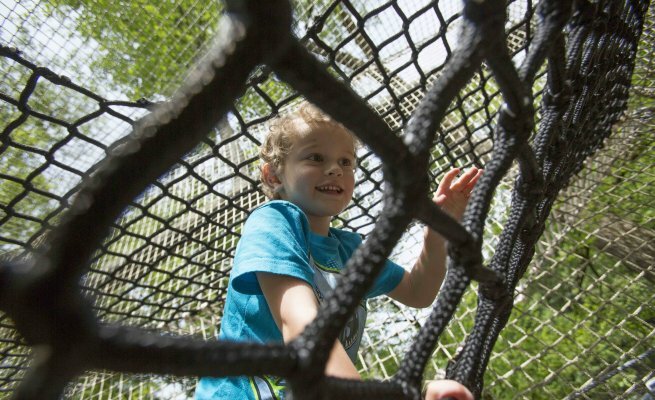 Created to resemble the structure of a boat, Treetop Adventure Nets is designed to jumpstart and enhance each participant's imagination while "on board". It includes a lookout tower (or Crow's Nest) and a wooden "ship's bridge" with a steering deck where kids can captain their own adventure. 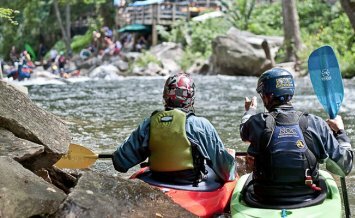 You will have a blast navigating your way through a series of tunnels, open spaces, slides, and pathways while overlooking the scenic Nantahala River & 2013 World's Freestyle Wave. 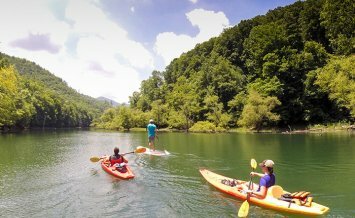 No tree-climbing or rock-climbing experience is required, but a sense of adventure is recommended. 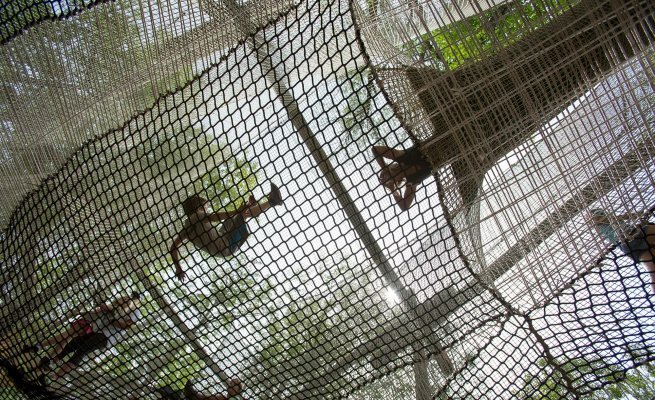 The Treetop Adventure Nets is a fully netted enclosure, allowing participants to enjoy the course without the need for a harness. Treetop Adventure Nets is available 7 days a week from May to October (hours will vary) and on weekends in April. Avoid the wait and pre-reserve your all day pass online, or purchase a pass in person at our Adventure Center. Children 3 years of age and younger require an adult to accompany them in the Treetop Adventure Nets. 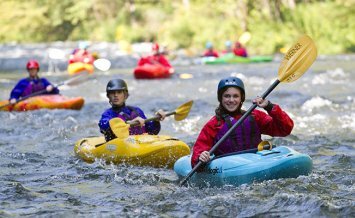 River-to-Ridge Splash AND Soar all in one day of fun!